OMG GEEEEEEEEEEE!!! MY NINERS ARE GOING TO THE SUPERBOWL!!!! OMG GEEEEEEEEEEE!!! AAAAAAAAAAAAH!!! Excited. Thrilled. Overjoyed. Happy. None of those words describe how I felt when Navorro Bowman knocked the ball away from Falcons receiver Roddy White with 1:13 remaining in the game to seal the come from behind victory. None of those words describe how I feel now. OMG GEEEEEEEE!!! The scream I let out yesterday at the restaurant scared everybody. Eh well :-}. And I must admit, my eyes watered a little. It has been a long time coming!! The years of continuing to be part of the Faithful(nickname for the legion of 49ers fans) has paid off. I was 12 the last time my 9ers went to the Super Bowl. I was a fan then but I am a die-hard now and this is a feeling I can get used to. Down 17-0 early in the second quarter, my 9ers begin to mount a comeback to pull within three only to let the Falcons score before the half to take a 24-14 lead into halftime. However, there would not be a repeat of last year! My 9ers scored two touchdowns in the second half including Frank Gore’s go ahead touchdown with 8:23 remaining to seal the fate of the Falcons. Gore nicely showed them how to do the ‘Dirty Bird’ before jogging off the field. The Falcons, who dominated offensively, in the first half could not get anything going and was shut out by the league’s number one scoring defense in the second half. The Falcons made it interesting driving the length of the field while draining the clock. My nerves were shot until Bowman took matters into his own hands and allowed Faithful everywhere to celebrate in a way we have not been able to in 18 years. AAAAAAAAAAAAAAAH!!! WE ARE GOING TO THE SUPER BOWL!!! I think my reputation as a Faithful speaks for itself. You would not believe how many phone calls, texts, Facebook messages and tweets I received from people offering up their congrats. I think my 9ers need to put me on payroll. I am representing hard on the East Coast! Oh and shoutout to my little cousin who owes me a Zaxby’s meal. Poor little Falcon fan. Eh well!!! SAN FRANCISCO 49ERS. NFC CHAMPIONS. The Quest For Six continues…. After such an amazing game, it was hard for me to concentrate on the AFC Championship game. I was still on a natural high from earlier. Plus the Wolfpack was playing soooo yeah my mind was elsewhere for a while. This year’s AFC Championship was a rematch of last year’s. Last year, the Patriots were the victors and New Englanders were already expecting a repeat of last year’s outcome. Some even went so far as to put up a billboard letting everyone know that Ray Lewis’ retirement party would start Sunday night in Foxborough. Welp, Lewis and the Ravens had other plans and they made sure, just like my 9ers, that they did not have a repeat of last year. Down 7-13 at the half, the Ravens came out and dominated the second half on both sides of the ball. The defense held one of the leagues most prolific offenses to zero points in the second half. The Ravens left no doubt as they scored three more touchdowns to advance to the SuperBowl. Looks like New Englanders will have to wait another two weeks for Lewis’ party to begin although they are unlikely to attend. So there you have it folks. 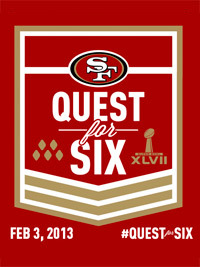 SuperBowl XLVII(47 for those of you who can never figure out those Roman numerals) is set. My SAN FRANCISCO 49ERS(I plan to call them the San FranSIXco 49ers after we win) vs. the Baltimore Ravens. Jim Harbaugh vs. John Harbaugh. Little Brother vs. Big Brother. The HarBowl. This is going to be classic, smashmouth football. I know the Ravens have tons of motivational factors on their side but I am rolling with my Niners all the way. 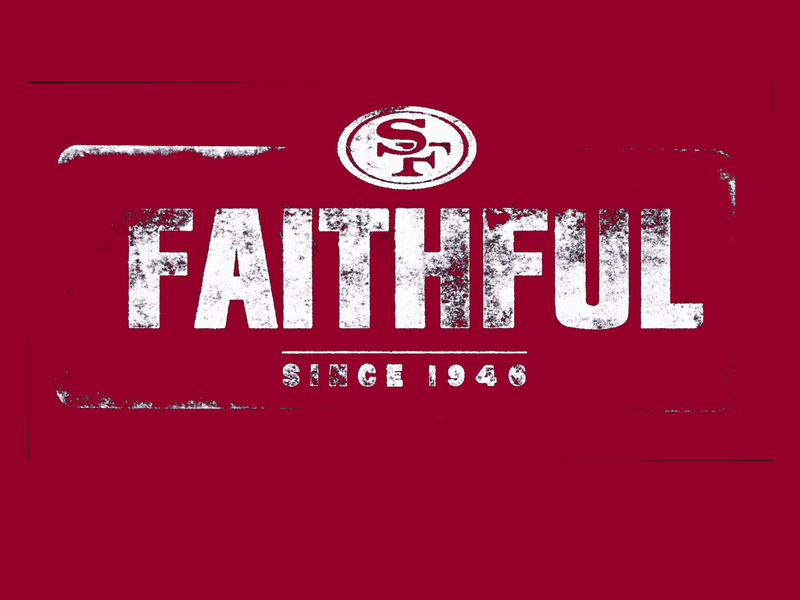 I mean, that is how the FAITHFUL rolls!!! He admitted it and cancer still does not care….